Winter in Melbourne; the season with the least favourite votes. Beach weather? Forget it. Mild days for trips to the park with a picnic? Few and far between. If the July school holidays leave you underwhelmed with ideas of things to do with your kids, you've come to the right place. In the words of Billy Connolly; "There's no such thing as bad weather, just the wrong clothing" it's a case of rug up and carry on. You see, this July Melbourne has embraced the winter months by offering more events and activities than you can poke an icicle at. And if you fancy heading out of town, don't miss the incredible Winter Wonderlights at Sovereign Hill. 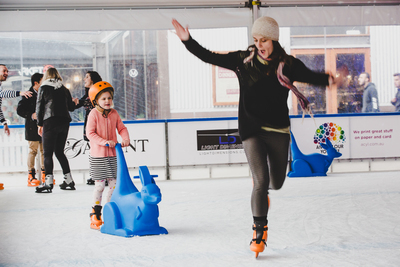 Don't be left out in the cold this July, get out and embrace winter in Melbourne with your family!